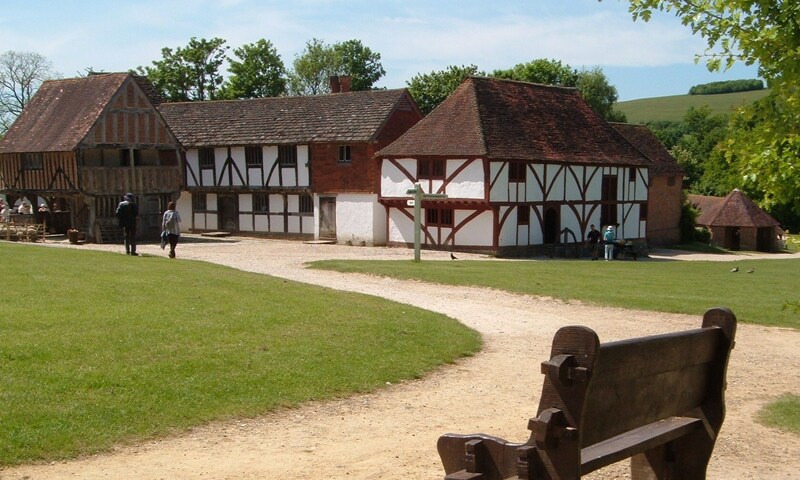 On the 8th and 9th of September (2016) our whole project team headed over to Sussex to participate in a ‘Knowledge Exchange Workshop’ with the Weald & Downland Open Air Museum. In basic terms this involved us telling museum workers some of our findings about work activities in early modern England, and in turn them showing us how some of the activities would have been done in the period. The event was fascinating and fun in equal measure, and I wanted to take the opportunity in this blog to provide a brief account of some of the highlights and offer some thoughts on how this type of interaction between ‘academic history’ and ‘living history’ can be particularly fruitful. We started off with the museum’s resident historian, Danae Tankard, talking us through what the museum does, the various buildings it has on site, and the challenges of recreating historical buildings and crafts in a way that satisfies both historians and the general public. If you don’t know it, the Weald and Downland Open Air Musuem (which you may recognise from the living history TV show Tudor Monastery Farm) is a 40-acre site with a collection of 50 historic buildings dating from the thirteenth to the nineteenth centuries, which have been saved from demolition and resurrected at the museum in something close to their original style, layout and furnishing. There is an element of ‘history from below’ in their mission, and most of the houses and work buildings preserved would have been lived and worked in by the lower and middling sorts. In addition to recreating these buildings, they also perform historically informed demonstrations of a number of crafts and work activities – and it was these we had principally come to see. First, though, we wanted to share with Danae and the museum’s interpreters and demonstrators some of the material we – and other historians of women’s work that we had invited along to speak – had been finding out about work activities and the gendered division of labour in the kinds of households that the museum looks to recreate. We took as our theme ‘Food, Cooking and Food Preparation’, something the museum puts a lot of emphasis on, and we gave papers on early modern diet (Jane), food processing and cooking (Mark), kitchen technologies (Sara Pennell), the daily routine in middling households (Catherine Richardson), and dairying practices (Jane again). This was followed by much discussion of things we collectively still don’t know about how exactly some of these work activities were organised in practice – who did them, how long did they take, were they done commercially, and so on – that whet our appetites for seeing some of them actually recreated. 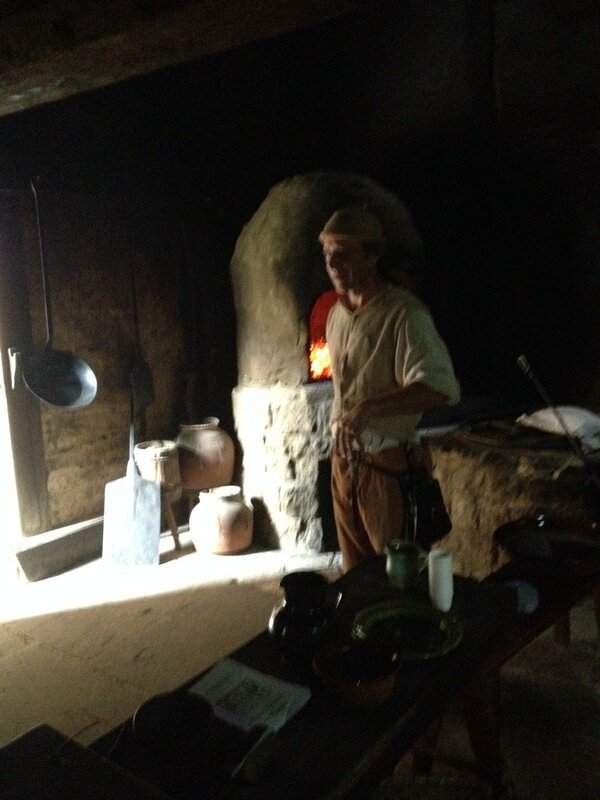 We started with a demonstration of baking by John Roberts in the museum’s Tudor kitchen (excuse the blurry photos, it was quite dark in there, a point I’ll come back to) using a sixteenth-century style oven. We were struck by how much fuel (wood) was needed to get the oven up to temperature, and the logic of using a common oven or communal baker, and baking lots of loaves at once, rather than each household baking their own small quantities of bread, was apparent. What historians have tended to find though is that common baking was widespread in some areas in early modern England, but seemingly absent from others, and we came away thinking about why that might have been. 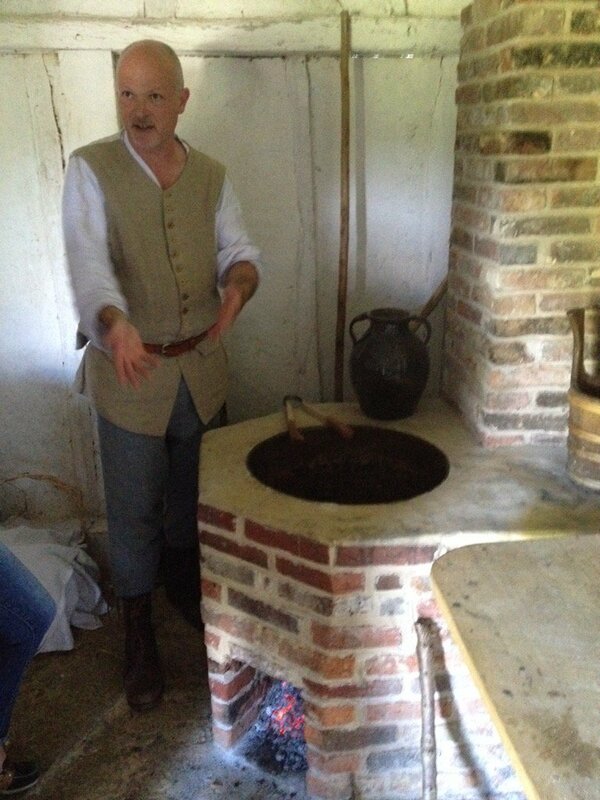 Next up Jez Smith gave us a demonstration of domestic brewing, seventeenth-century style. The amount of equipment needed to brew was remarkably little, but only if you were buying your malt from someone else, which again set us thinking about the overlap between commercial and domestic elements of the household economy. And despite often being thought of as low-skilled and low-status work, it was clear from talking to Jez that brewsters and brewers required high levels of knowledge and experience to be able to judge when the various stages of the process were complete in an age before thermometers. So, this was an everyday task that would clearly have entailed much learning (by which I don’t necessarily mean book learning) on the part of its practitioners. 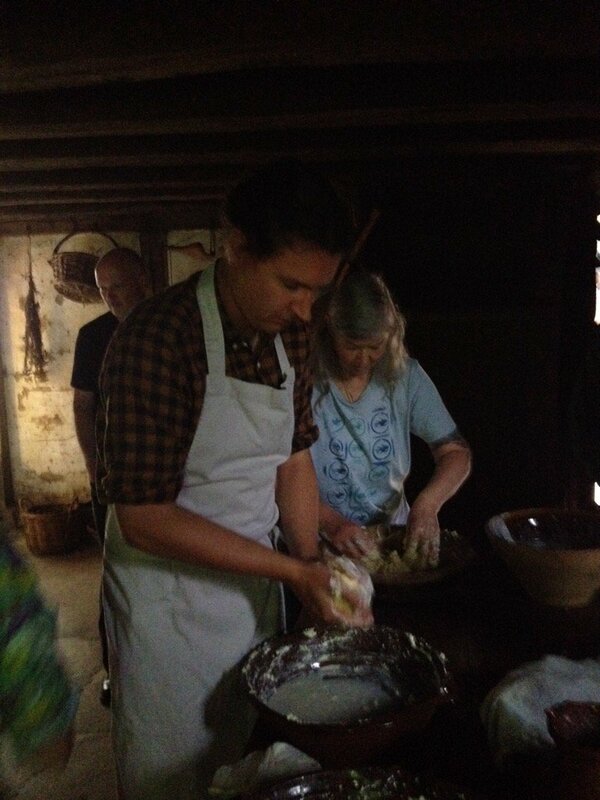 Finally, it was our turn to have a go at a work activity, as we returned to the Tudor kitchen to get messy making butter. It was a fairly straightforward process, first of all hand whisking until the butter and the buttermilk separated, and then using paddles to squeeze any excess buttermilk from the butter. It entailed a bit of elbow grease, but no great degree of time or skill – less than I had assumed before I actually tried it, anyway – and then we got to enjoy some spread on our freshly baked bread (alongside a small draft of Jez’s beer). Seeing and doing some of the work activities that we have been busily recording was a great experience, but on the long drive back to Exeter we reflected on what, exactly, the value of it was to us as historians. On the one hand it helps to fire the imagination, and to provide a point of reference for the process of imagining what these work activities would have entailed, looked like, and felt like, when we are sat at our desks with just a cursory written description of them to go on (I’m going to say much more about this process of ‘imagining’ the past in a future post on the many-headed monster blog). And this engagement with ‘living history’ demonstrations also has a real analytical value, too, often raising questions about a work activity – and in turn the broader organisation of work, of households, of the wider economy – that might not otherwise occur. As an example, let’s return to the issue of cooking and fuel. 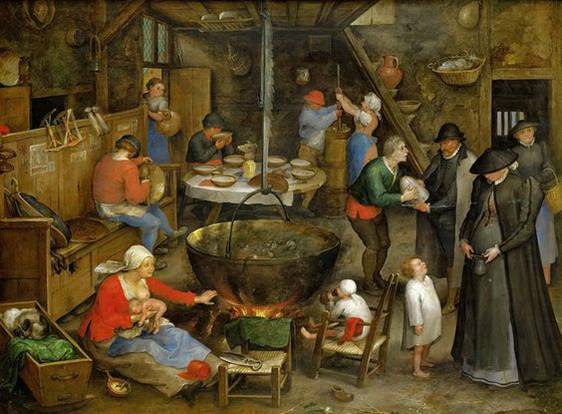 We have suggested elsewhere that cooking was an activity that actually took up relatively little time in early modern households, with our sources suggesting the main technique was to leave a pot bubbling away over the fire all day, allowing other work activities to take place simultaneously with cooking. But spending time talking to John Roberts in the Tudor kitchen – the man who is also responsible for managing the museum’s woodlands – we came to see just how much fuel would be needed to keep a fire burning throughout the day, and that considerable resources of either time or money would need to be invested in wood supplies. If, however, a new fire was started at each meal time to save on wood, that would mean preparing, lighting and managing that fire would have required more time and organisation than simply keeping an existing fire topped up – and would make cooking a more significant part of a household’s work schedule than we had been thinking. We’re still mulling this one over, but seeing an early modern kitchen in action has helped us to revisit and reflect on our argument here. Another issue that the visit raised for us was the importance of light to the organisation of early modern work. 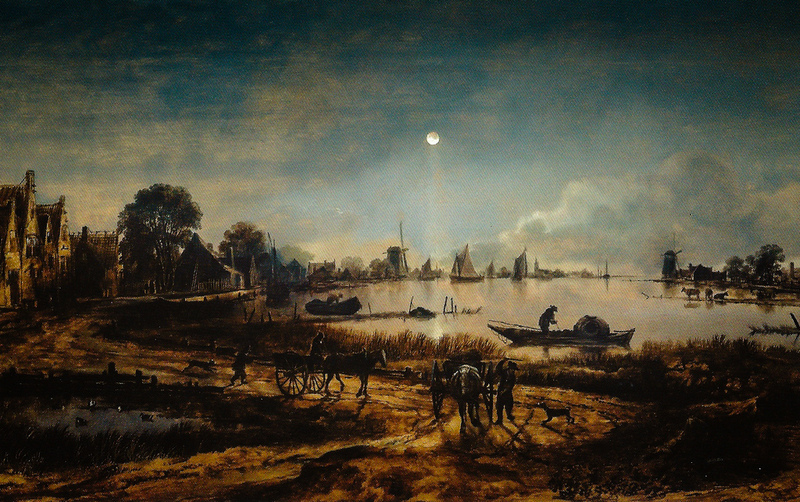 Historians have often suggested that the rhythms and hours of work in pre-industrial rural areas were heavily dictated by the hours of daylight, and that very little work could take place outside of those hours – either outdoors or indeed in homes where lighting was poor and expensive. Low light levels were certainly evident when we walked into the smoke-filled Tudor kitchen, with its tiny windows, and most of the early modern cottages and workshops we wandered around were fairly dimly lit even on a sunny September afternoon – and can only have been worse on grey November ones. 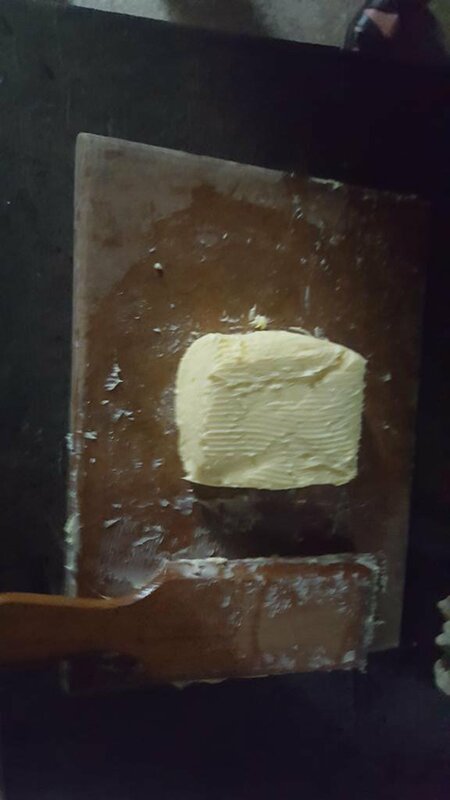 And yet, as our eyes adjusted, we had no problem making our butter in poor light, in part because it was a task that relied much more heavily on touch and feel than sight. Perhaps as academics, for whom sight is so central to our work, and living in the era of electric lighting, we underestimate the ability of early modern people to work in poor light, especially at tasks where the haptic may have been more central than the visual to the execution of skill. Our numerous examples of people working by candlelight, or even the light of the moon, and outside of daylight hours, seem to support this argument – but the experience of visiting the Museum really helped to bring this argument home to us. These are just a couple of instances – of which there were many more over the course of the two days – where engaging with living history set us thinking, raised new questions, challenged our assumptions, or reinforced our arguments, in ways that only engaging directly with the practice of work activities could have done. It’s an approach with much to recommend it. * For more on the value of ‘hands-on experience’ as both a research and a pedagogical tool for early modernists you could check out the Making and Knowing Project at Columbia, and this recent post on Recipes in the Classroom by the Folger’s Amanda Herbert. A really interesting article Mark. Some thoughts in light of later Irish material. On light: various customary practices maximised light. Eg travelling tailors sat on table under the window to maximise light; work like sewing might be done in the doorway. Fires were not let out if possible – otherwise, how do you light them easily? Poorer people would probably have to go to a neighbour’s house to get embers to relight. Here is an account of ‘raking’ the fire to burn overnight http://www.duchas.ie/ga/cbes/4428253/4388776/4476434 Of course, in many parts of Ireland fuel was turf that could be banked up to burn slowly. Were e m English households always using just wood for fuel? What about increasing use of coal? Thanks Clodagh, these are really interesting and useful comments. On the issue of light we also have lots of evidence that the doorway was a key work space, especially for spinning, carding and so on, so that was indeed one way in which people coped with poor light. Andy Burn (@aj_burn) made another good point on twitter – that in an age before eyecare/corrective glasses many people must have been much more used to working by touch rather than relying on sight. I’m inclined to agree that the fire would have been kept burning if possible. We do have some examples of people going to their neighbours houses to ‘fetch fire’, but not enough to suggest this was routine. We also have an example of a servant ‘laying ashes’, which could be an instance of the type of ‘raking’ you highlight. It took place at 1pm, so possibly a way of preserving the fire during the afternoon after it had been used at lunchtime? On fuel – you are right, it was not just wood being used, and we have examples of people digging up and carrying home turf which would have been used on fires. We also have some examples of people cooking on coal, although its use in domestic rural households would not have been widespread until after our period I think. There is a good recent article on the pronounced regional variations in fuel types used, and on the chronology and geography of the transition to coal, by Paul Warde and Tom Williamson: ‘Fuel supply and agriculture in post-medieval England’, Agricultural History Review, 62, 1, pp. 61-82.